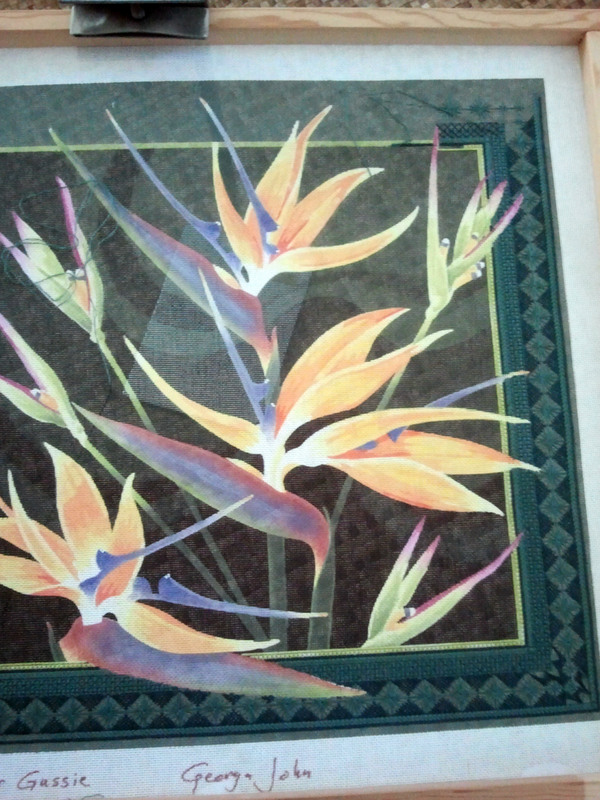 My favorite flower is the Bird of Paradise. Georg created a beautiful canvas that I have been thinking about for awhile. Thanks to Jean Hilton’s Border Book, I found some beautiful borders that I could combine for the frame of this canvas. Take a look and enjoy!